With the talk of the new cold war I thought I would look back to a picture from the early 60's in those days the country was preparing for a nuclear attack with an updated dads army. 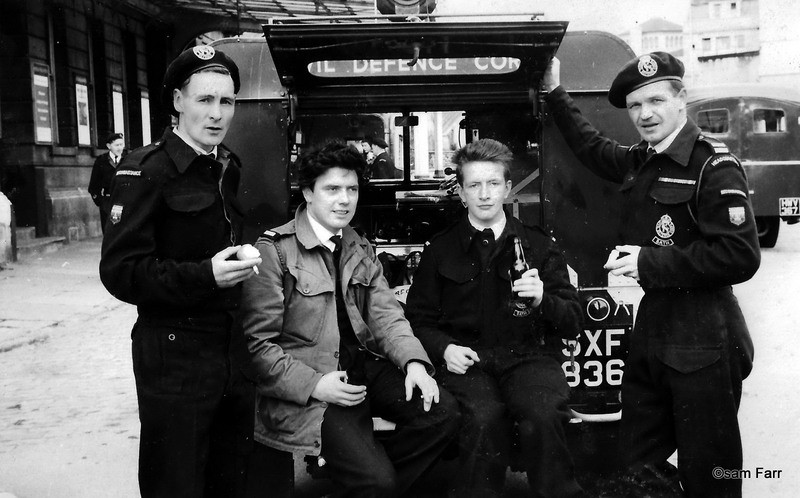 Civil Defence consisted of WRVS emergency feeding units, Rescue units to recover people from damaged buildings, scientific advisors to plot the radiation with the Royal Observer corps . Dennis, Mike O'Brien, Sam (17) and Major Kay who organised the Civil Defence for the City of Bath. I've photographed Sir Tony Robinson 3 times over the last 20 years and he's always been helpful, in fact he once signed a turnip for my daughters. We tried drying it and varnishing it but it died in the end. I went to put Biscuit out today.